Part of Mackinac State Park – Located on the East Side of the Bridge the busy park has full day use facilities and historic and scenic points of interest. 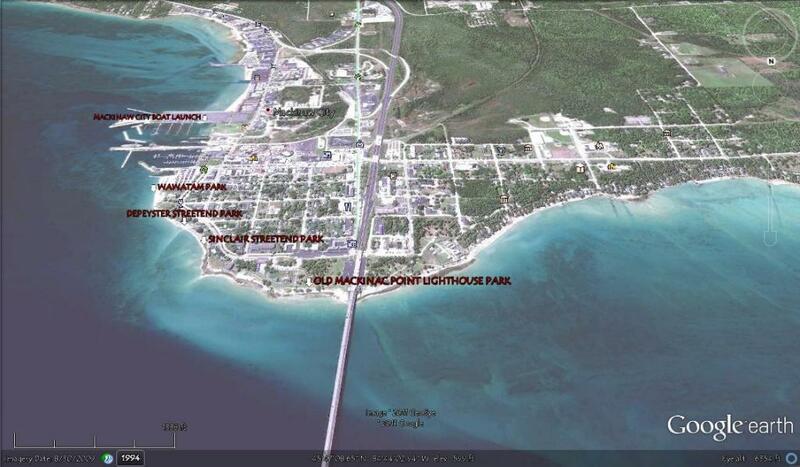 Use the parking lot adjacent to the Mackinac Bridge. Paddling around the waterfront of Mackinaw City offers an interesting mix of historic sites and parks. Waters in the straits are challenging with currents and waves. Be careful of heavy boat and ferry traffic paddling around the Mackinaw City waterfront. Weekday mornings will find less boat traffic.